He really doesn't mean it, but Derek is saying some pretty cruel stuff to Meredith in this scene. 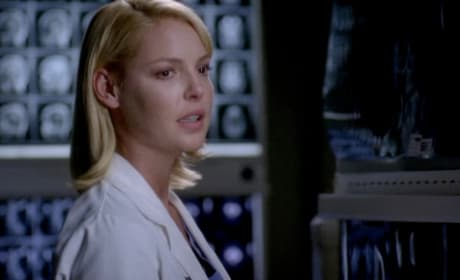 Izzie asks Lexie what one is even supposed to say to Patient X? 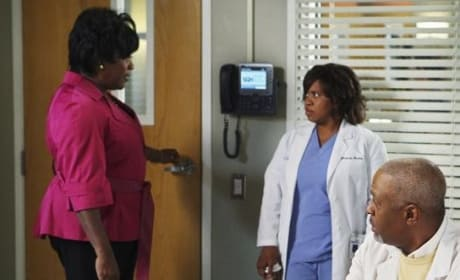 Another photo of Adele, Miranda and Richard in "I Will Follow You Into the Dark," from Season Five of Grey's Anatomy. 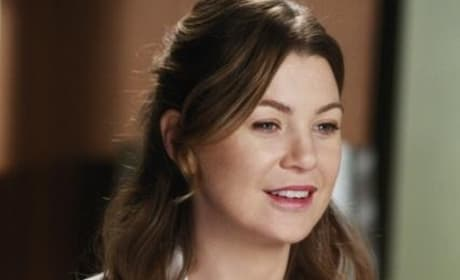 Meredith Grey (Ellen Pompeo) smiles in a picture from "I Will Follow You Into the Dark," from Season Five of Grey's Anatomy. 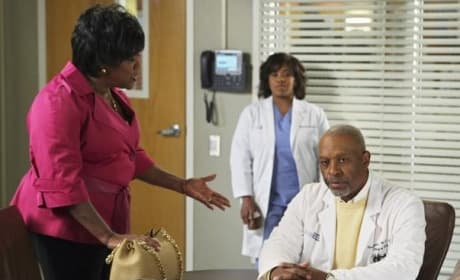 Adele is the judge and the jury as Miranda and Richard try to hash out their differences in "I Will Follow You Into the Dark," from Season Five of Grey's Anatomy. Okay, that one doesn't work as well. 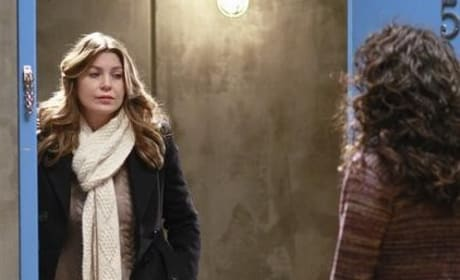 But it's still another cute photo of Meredith and Cristina from "I Will Follow You Into the Dark," from Season Five of Grey's Anatomy. 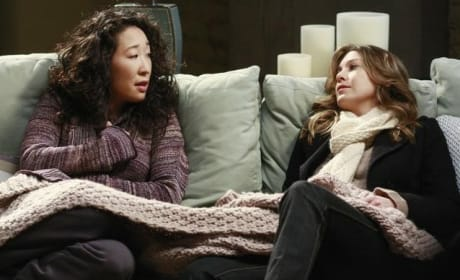 Meredith and Cristina lie in bed and talk about life in a photo from in "I Will Follow You Into the Dark," in Season Five. 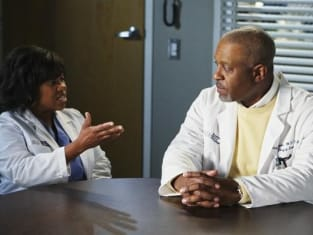 Adele mediates between Richard and Miranda in a photo from in "I Will Follow You Into the Dark," in Season Five. 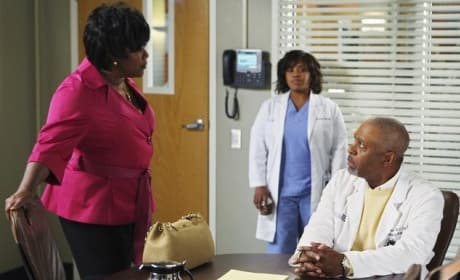 This is the episode in which Derek Shepherd allegedly quits his job at Seattle Grace. When, if ever, will he be talked out of it? 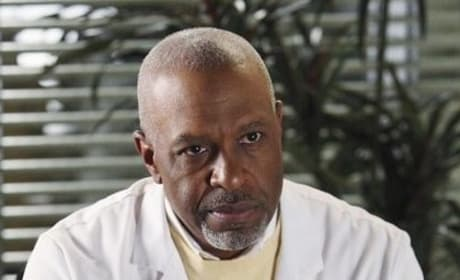 Another picture of a stoic Richard Webber, Chief of Surgery at Seattle Grace Hospital. All the hospital's problems ultimately fall to him. 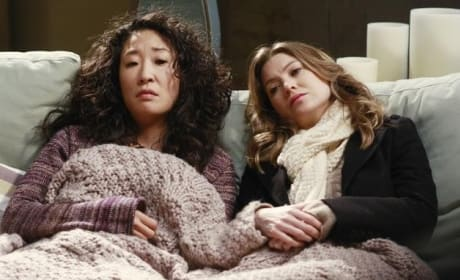 Cristina Yang and Meredith Grey (Sandra Oh and Ellen Pompeo) in a photo from in "I Will Follow You Into the Dark," in Season Five. 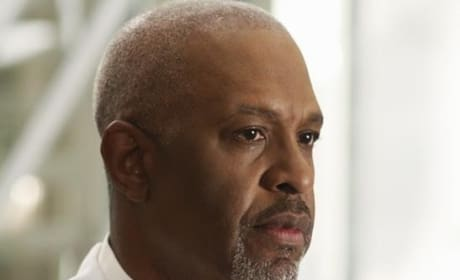 Richard Webber (James Pickens, Jr.) in "I Will Follow You Into the Dark."